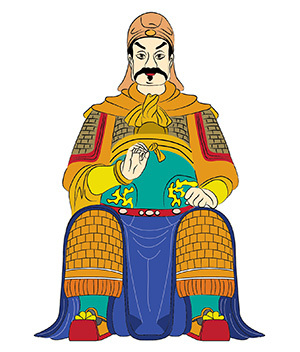 The Tai Sui of 2019, the God that rules the Earth is also known as the Grand Duke Jupiter. Each year is ruled by a different Tai Sui and depending on who he is and what his dominant personality is like, these attributes get reflected in the destiny of that year. As he is the God of the Year, it is beneficial to show respect to the Tai Sui by never confronting him and always having him supporting you. From a feng shui perspective therefore, in 2019, it is beneficial to have the place of the Tai Sui supporting you and to be mindful never to confront him. As the 2019 Tai Sui sits in the NW 3 location, it is good feng shui to sit with the NW3 behind you and face the same direction as the Tai Sui. It is extremely beneficial to display the Tai Sui plaque of the year in the sector of the home where the Tai Sui resides, which in 2019 is the Northwest 3 location. 2019’s TAI SUI is the Great General Xie Tai.. In 2019, four animal signs must take special care to have a beneficial relationship with the Tai Sui. These are the signs of the Snake, Monkey, Tiger and Boar. The sign of the Snake is most “afflicted” and is strongly advised to carry the Tai Sui Amulet at all times. The Monkey and Tiger suffer from side conflicts with the Tai Sui. The Boar enjoys the Tai Sui’s support and thus must honour Tai Sui, thereby ensuring that this beneficial support is not lost through the year. General Xie Tai lived during the Ming Dynasty. He was born in Linjin, presently in Shaanxi Province, and his story is inspiring because of his great honesty and integrity. Legend has it that while out walking along the road one day, he finds some lost silver that belongs to someone else. He covers the money with his clothes and sits by the roadside all day, waiting for the rightful owner of the money to show up, but the owner of the money does not appear. Xie Tai takes the silver home and hides it on the roof beam. The next day, he goes back to the road to wait some more until a man on horseback comes galloping by, shouting in a panic that he has lost his silver. Xie Tai greets the rider, invites him back to his house, and entertains him. After asking more about the situation, Xie Tai returns the lost money to the owner. Xie Tai refuses to accept the money. The owner decides to convey Xie Tai’s righteous deeds to the government, but Xie Tai says this is not necessary. Being a humble man, he only wants to do the right thing and to bring up his descendants in the same way – always practicing honesty and righteousness. In time, the descendants of Xie Tai became the great Champions of the Imperial Academy Exams. They rise to become the Hanlin Bachelors, attaining top scholastic achievements in the Land. They rise up to positions of great power within the Government and continue to uphold the values their ancestor the great General Xie Tai has imbued in them. In 2019, having the Great Xie Tai as Tai Sui suggests that there will be greater honesty and integrity during the year. There will be less corruption and the leaders of many countries, organizations and businesses and also the general public will live with greater honesty and integrity. When you display the Tai Sui Plaque, it ensures that others will treat you with honesty and your business dealings will have greater integrity. Displaying this plaque invokes the protection and goodwill of the Tai Sui. No one will try to cheat or dishonour their promises to you. All those who do business with you and who interact with you will be honest and honourable with you. This will also be true in all your friendships and also in your love relationships. The plaque is best displayed in the Northwest 3 location, the home of the Tai Sui this year. It is beneficial for everyone, irrespective of your animal sign, to invoke the blessings of the Tai Sui. 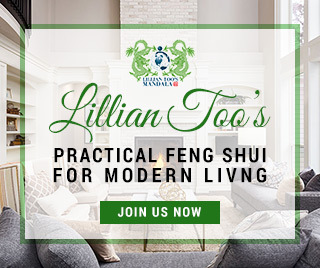 Doing so brings great good fortune as the Tai Sui also has the power to assist those suffering from incorrectly placed feng shui. It is thus beneficial for every household to display the image of 2019’s Tai Sui in the home. 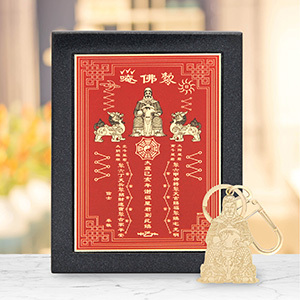 As well as displaying his plaque with his invocations, you can also carry the Tai Sui Amulet to come under his continued protective chi energy. The amulet protects you from getting cheated, betrayed or deceived by those you trust and do business with.